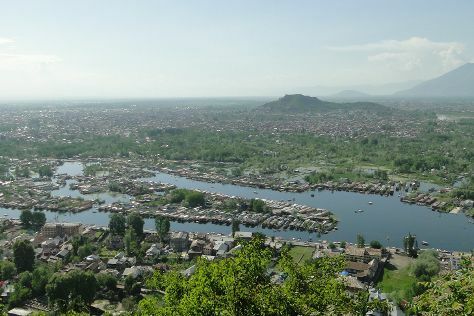 The focus lies mainly on the waters in Srinagar, with the river and lakes of the city dotted with colorful houseboats and making the relatively cool summer capital a popular tourist destination. To see more things to do, ratings, photos, and more tourist information, read Srinagar tour planner. Bhubaneswar to Srinagar is an approximately 5.5-hour flight. You can also drive. Expect colder temperatures when traveling from Bhubaneswar in November; daily highs in Srinagar reach 17°C and lows reach 3°C. Wrap up your sightseeing on the 2nd (Fri) early enough to travel to Leh. 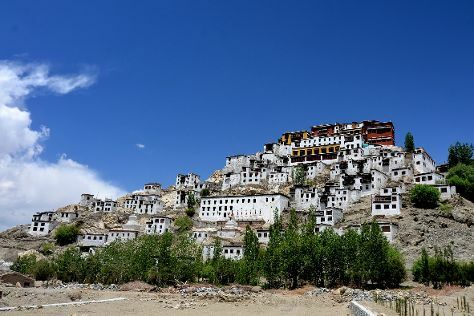 The former capital of the Kingdom of Ladakh, Leh possesses a historic old town area marked by stupas, monasteries, and traditional mud-brick houses. Spend the 6th (Tue) among lush scenery at Zanskar the Virgin Valley. Next up on the itinerary: take in the spiritual surroundings of Thiksey Monastery, examine the collection at Stok Palace Museum, appreciate the history behind Shey Monastery, and don't miss a visit to Confluence of the Indus and Zanskar Rivers. For other places to visit, maps, photos, and tourist information, go to the Leh tour itinerary tool . You can fly from Srinagar to Leh in 1.5 hours. Other options are to do a combination of taxi and flight; or drive. Finish your sightseeing early on the 6th (Tue) to allow enough time to travel back home.